Painting Jobs Contracted by May 15, 2015 will Receive 10% OFF. Call Now! C&M Painting offers a wide range of Connecticut power washing services to meet your needs. We use different power washers with the right pressure for the right job. We can handle any size home power washing job as well as larger commercial projects including condo complexes, churches and synagogues, office buildings, and other types of properties. We have the appropriate power washing equipment to complete all jobs that we undertake. What Do C&M Painting's Power Washing Services Cover? We power wash all types of houses to clean them (mildew, moss, dirt, and road pollutants) or to prepare them for exterior painting. 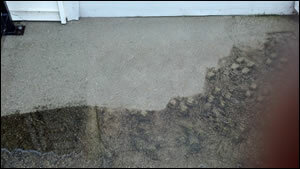 We power wash sidewalks, stairs and patios (concrete or stone). We power wash composite decking to remove mildew, dirt and grease, and wood decks prior to staining or painting. We power wash roofs (with very low pressure) to remove mildew, bird droppings, and ugly stains. We can power wash houses with wells using our low pressure power washer. Do you need to power wash your house, patio, deck or commercial facility? 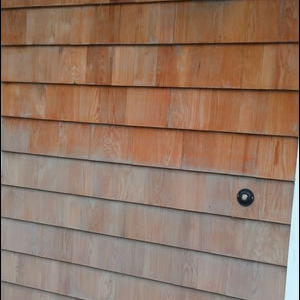 If you're in Southern Connecticut and in need of power washing services, C&M Painting and Home Improvements can help! Request a free estimate online today or give us a call at 203-799-9584. We look forward to fulfilling your power washing needs! Call 203-799-9584 today for service information. This Free Estimate contact form is only for requesting services from C&M Painting and Home Improvements, LLC. Please do not send any solicitation messages. Thank you. Based out of Orange, CT, we offer Painting Services throughout CT including the following towns/cities. Don't see your town? Call us!